Thomas Bilney was born in Norfolk in about 1495. He went to Cambridge University at an early age. Thomas Bilney being attacked in 1531. Thomas Bilney was brought up in the University of Cambridge, even as a child studying the liberal sciences and laws. But at last, having found a better teacher in the Holy Spirit, he gave up his study of man's laws to learn the Word of God. Excited by his love of true religion and godliness, Bilney felt a need, to spread the gospel to others. 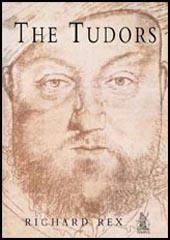 He was quite successful in this, converting, among others, Thomas Arthur and Hugh Latimer. 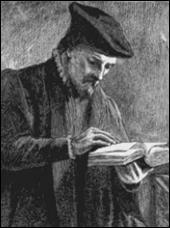 Soon Bilney left the university to travel widely, teach, and preach, accompanied by Thomas Arthur. Bilney's attacks on the insolence, pomp, and pride of the clergy soon drew the attention of Thomas Wolsey, the cardinal of York, who ordered both Bilney and Arthur imprisoned. On November 29, 1527, Bilney and Arthur were brought before Wolsey and a group of bishops, priests, and lawyers at Westminster. Asked if he had privately or publicly taught the opinions of Martin Luther or anyone else against the church, Bilney said that he hadn't. He was then asked if he hadn't previously sworn to actively oppose this type of teaching wherever it was found. Bilney admitted he had sworn to do that but only under pressure, not legally. Told to recant his errors, Bilney refused, saying he would stand on his conscience; he was declared a heretic. From December 5-7, Bilney continued to take the position that he had done nothing against the church doctrine and asked permission to call witnesses to that effect. 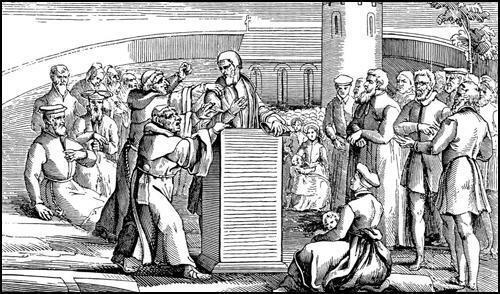 No witnesses were allowed, since he had already been declared a heretic, and on December 7 he was given his last chance to recant before being sentenced. On the advice of his friends, Bilney gave in and was absolved by the bishop. He was sentenced to prison for some time and forced to do penance by going before the procession at St. Paul's bareheaded and carrying a fagot on his shoulder, then standing before the preacher during the sermon. 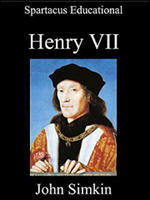 Returning to Cambridge in 1528, Bilney fell into a deep depression that nothing could lift. His friends stayed with him day and night, afraid that he might kill himself if left alone. This depression stayed with him until 1531; at which time Bilney decided he could no longer deny God's truth, said good-bye to his friends, and left to resume preaching in Norfolk. He urged everyone there to learn from his example and never trust their friends' advice when it came to matters of religion and conscience. He had denied God's truth once to save his life but never would again. Bilney was soon arrested and given to the city's sheriffs for execution, one of whom, Thomas Necton, was a close friend. Although Necton was powerless to stop Bilney's execution, he was able to make his waiting more comfortable than normal, even allowing friends to visit him the night before he died. Bilney approached the stake in a layman's gown, his arms hanging out, his hair mangled by the church's ritual divestiture of office. He was given permission to speak to the crowd and told them not to blame the friars present for his death and then said his private prayers. The officers put reeds and wood around him and lit the fire, which flared up rapidly, deforming Bilney's face as he held up his hands and called out "Jesus" and "I believe." Bilney's travel, teaching, and example were very influential at Cambridge, drawing many there to Christ. Among those affected were Hugh Latimer, Dr. Barnes, Dr. Thistel, Master Fooke, Dr. Warner, and Master Soude. Bilney was burned as a relapsed heretic in Norwich; in December, Bayfield the monk and Tewkesbury the leather-vendor were burned at Smithfield in London; and in April 1532 James Bainham, a barrister of the Middle Temple, who was the son of a knight of' Gloucestershire, and had married Simon Fish's widow, was burned at Smithfield. It would be an over-simplification to claim that these heretics were burned between October 1529 and May 1532, whereas none was burned between 1521 and 1529, because More had succeeded Wolsey as Lord Chancellor. Apart from other factors, these heretics were burned when More was Chancellor because they refused to recant, or, having recanted, relapsed into heresy, whereas in Wolsey's time all the heretics whom he examined recanted at their trial. But there is no doubt that at least part of the reason is that More was a far more zealous persecutor than Wolsey. (6) John Foxe, Book of Martyrs (1563) page 82 of 2014 edition. (8) John Foxe, Book of Martyrs (1563) page 186 of 2014 edition. (10) John Foxe, Book of Martyrs (1563) page 83 of 2014 edition.